The Correction: No Panic Selling on Columbus Day - Valuentum Securities Inc. The past three years have been an anomaly, in our view, with the broader equity markets practically going straight up. For those new to the markets and stock investing, in general, this simply is not how the equity markets behave. Many stock pickers have even become frustrated as a result of the market’s steady-eddy advance with negligible meaningful swings during most of the past 36 months. The market, as measured by the SPDR S&P 500 (SPY), hasn’t had a 10% drop in nearly 1,100 days. As of last Friday’s close, we’re a mere 5.6% from the intra-day high on September 19. During the past three years, the market has made everyone look like a genius, and frankly it has been difficult to differentiate one’s investment product when everything is working. Through the end of June, for example, “the difference between the worst and best 10% of stocks in the S&P 500 shrank to 14.4 percentage points in May, the lowest ever in data going back to 1990, according to research by investment firm Materin Capital Management (source).” That means that just a few percentage points of outperformance over the benchmark would put a money manager at the top of his/her respective cohort. For those looking to differentiate themselves, it’s been difficult to beat the proverbial “monkey throwing darts at the stock pages in a newspaper.” Roughly 80% of large cap managers are trailing the index this year. The market hasn’t provided many opportunities for outperformance. But finally…investors are getting a chance to separate the content farms from the research firms that hold candor tightly. Mr. Buffett’s saying in his 2001 letter, “you only find out who is swimming naked when the tide goes out” is probably most applicable to the equity markets. Translated, this means that you only find out who is worth listening to when the markets swoon. 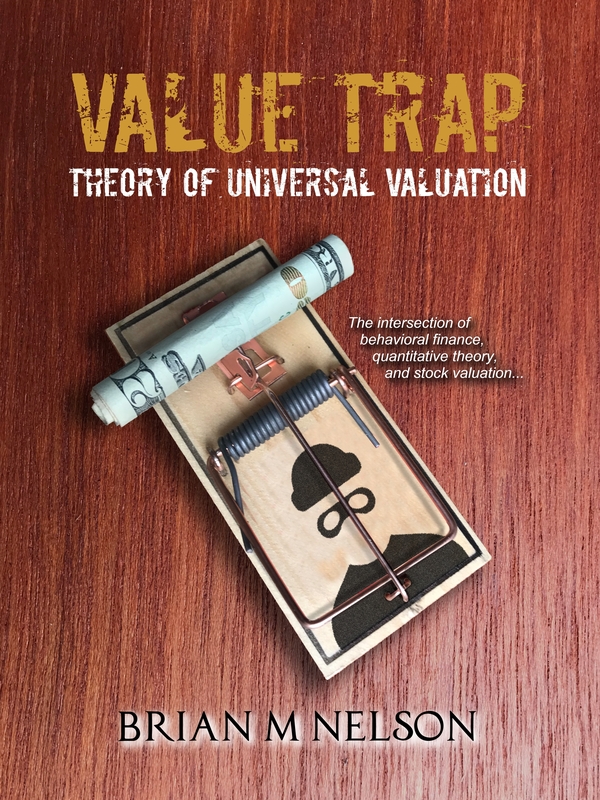 If the latest stock market fall hasn’t put Valuentum at the top of your list, given its efforts to prepare you for the drop (see here), then you’ve sadly fallen prey to someone else’s propaganda. An asset manager is never going to say, “time the markets,” because they want to keep generating fees from your assets. The bureaucracy of large research firms is going to limit how effective they can serve you. By the time ideas reach the top of the organization, it’s often far too late for their clients to benefit. When it comes to research, a bigger firm is not always better. In fact, the more agile and fluid the research firm, the better. Did you know that Warren Buffett has a staff of 24 people at Berkshire Hathaway (BRK.A, BRK.B)? This is all of them. Sorry to be a preacher here, but the most expensive research is free research – it can cost you dearly. According to a recent study by Research Affiliates that simulated the results of 100 monkeys throwing darts at the stock pages in a newspaper, the results showed that the average monkey outperformed the index by an average of 1.7 percent per year since 1964. This tells you that a monkey can beat the market sometimes, but a monkey can’t tell you why he beat the market. Only through a repeatable and measurable process (i.e. the Valuentum Buying Index) can consistency be attained. We spend most of our time demonstrating how the process works, and when it does, we tell you. One of the items we want to make absolutely clear is that the market price of a stock represents the collective opinion of everyone in the markets about the company. You don’t need to read hundreds of different opinions on a stock to understand what the market thinks of a company. All you have to do is look at the stock price to do that. I remember reading an old quote from Richard Driehaus about how only through exceptional individuals can exceptional outperformance be attained (I wish I could find the exact quote, but that’s pretty close). I would think Warren Buffett would agree. After all, he has the resources to hire hundreds if not thousands of stock analysts. Why doesn’t he? Because he is after the only opinion that matters: one that has the correct answer most of the time. There comes a point when too many opinions, and too many perspectives, start to hinder the outcome. With all of that said, Monday brought some relief, if only because it was the Columbus Day holiday in the US; selling wasn’t quite ready to resume in full-force. The biggest news, aside from Barron’s reiterating our opinion on the bargain-basement price of Rio Tinto (RIO), was that M&A activity could be heating up in the railroad space. According to reports, Canadian Pacific (CP) approached CSX (CSX) about a merger deal, and while it was rebuffed, it means that the railroad is looking to acquire assets with still-relatively cheap money (interest rates low, stocks at all-time highs). Our favorite take-out candidate in the railroad space remains Kansas City Southern (KSU), though we note the political climate in Mexico could be a key obstacle in the firm merging assets with any other operator in the space. On a fundamental level, we continue to prefer Union Pacific (UNP) thanks in part to the significant and ongoing improvement in its efficiency, as measured by the company’s operating ratio. In other M&A news, Bloomberg reported that Anheuser-Busch InBev (BUD) may be looking to tie the knot with Pepsi (PEP). This follows reports that Anheuser-Busch Inbev had approached SABMiller (SBMRY) about a potential deal a few weeks ago, and reports that SABMiller had approached Heineken with similar intentions, perhaps in defensive posture. Clearly, Anheuser-Busch Inbev is thirsty for action, and while we don’t think Pepsi is as good a fit as SABMiller for the company, we’re not ruling out either transaction at this time. A deal with Anheuser-Busch InBev could be a blessing for Pepsi’s management team, which has been under pressure to break up its soda and snacks business. The newsletter portfolios have exposure to SABMiller via Altria’s (MO) ~27% stake in the fast-growing brewer. We don’t think a change at the top in Brazil will do much to change the current recessionary trajectory. The Ebola virus has yet to be contained. Over the weekend, we learned that the Dallas nurse that was treating the Liberian man, who was the first case of Ebola to be diagnosed in the US, has now been infected by the deadly virus. The nurse is the first to have contracted Ebola in the US. The CDC has stated that the nurse may not be the only person that may have been infected with the deadly disease. In an international world with global commerce, we maintain our view that the Ebola virus may not be effectively contained. In the words of Dr. Thomas Frieden, the director of the CDC: “Stopping Ebola is hard.” We fully expect the airlines, lodging and leisure groups to continue to face demand pressure as a result of news regarding the virus’ spread. Remember: fear is a component of what drives demand and the markets. Such news cannot be ignored, even if your stance is such that an outbreak may be transitory. How far might we fall in this correction? We still believe we have 4%-6% more to go, and if we break lower than those levels, there is more psychology at work than fundamentals. 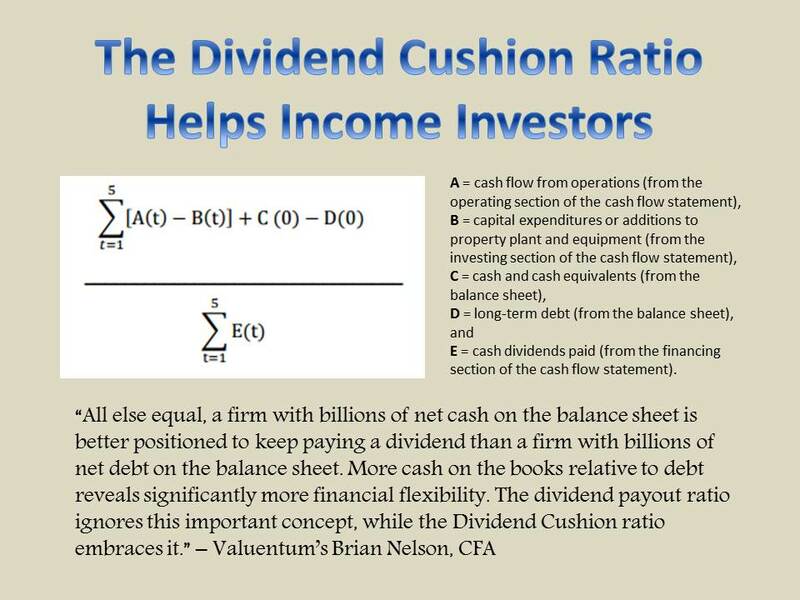 It may take capitulation from the dividend growth crowd for us to truly reach a bottom. We wanted to share an interesting chart of the SPDR S&P Dividend Aristocrat ETF (SDY) heading into the March 2009 bottom. Dividend growth stocks are not immune to the broader equity market performance. Financial advisors need to be realistic about the risks they may be taking with client money to achieve an income stream. Capital erosion is a real possibility for dividend growth ideas over the next five years. This should not be new “news” to Valuentum readers. “The time to build the arc was when the sun was shining.” Did you build one?